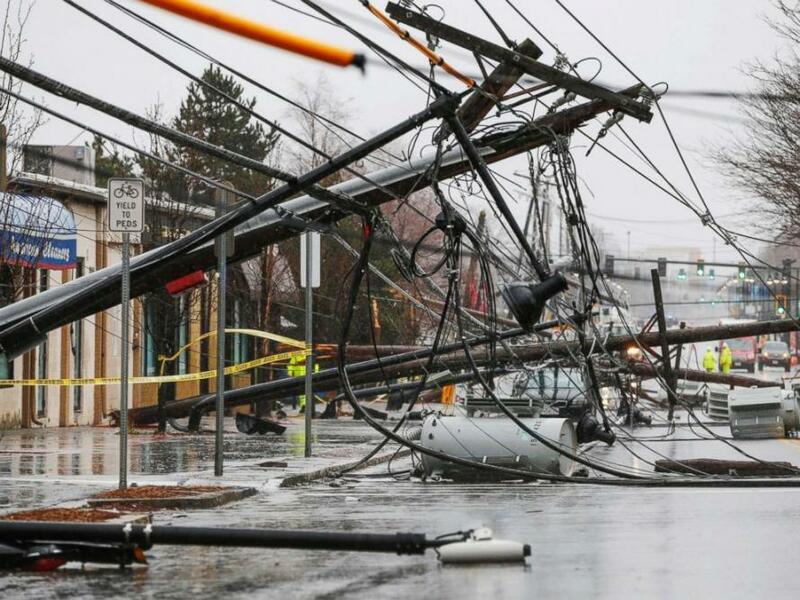 At least seven people were dead after a "monster nor'easter" - officially called Winter Storm Riley - slammed the northeastern United States on Saturday, leaving a trail of flooded streets, power outages and brutal winds. A 6-year-old boy died in Virginia after a tree fell on his family’s home, officials said. 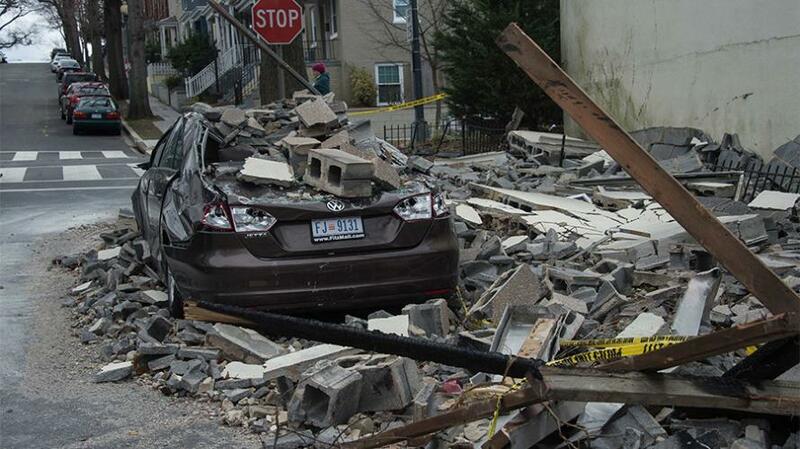 Others include an 11-year-old boy hit by a falling tree in New York state, a 57-year-old man in Upper Merion, Pennsylvania, hit by a tree while in his car and a 77-year-old woman struck by a branch outside her home in Baltimore. The storm strengthened rapidly Friday, undergoing what's known as bombogenesis or "bombing out," when a low-pressure system drops 24 millibars in 24 hours. It was the second "bomb cyclone," to hit the region after a similar storm hit the northeast back in early January. home in Baltimore. According to Reuters, almost 2.4 million homes and businesses had no power in the Northeast and Midwest early on Saturday. Some utility companies warned customers that power might not be restored until later in the day or Sunday. New York City saw a mix of rain, snow, sleet and winds that wrapped up by evening. 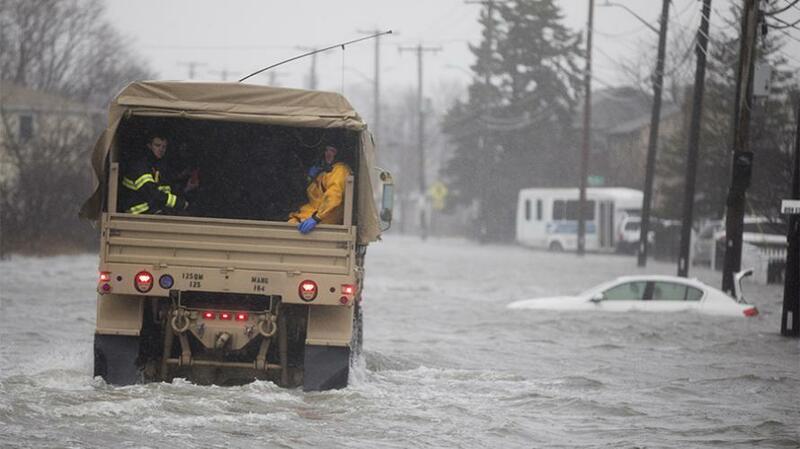 Over 4 inches of rain fell in eastern Long Island and parts of eastern Massachusetts. 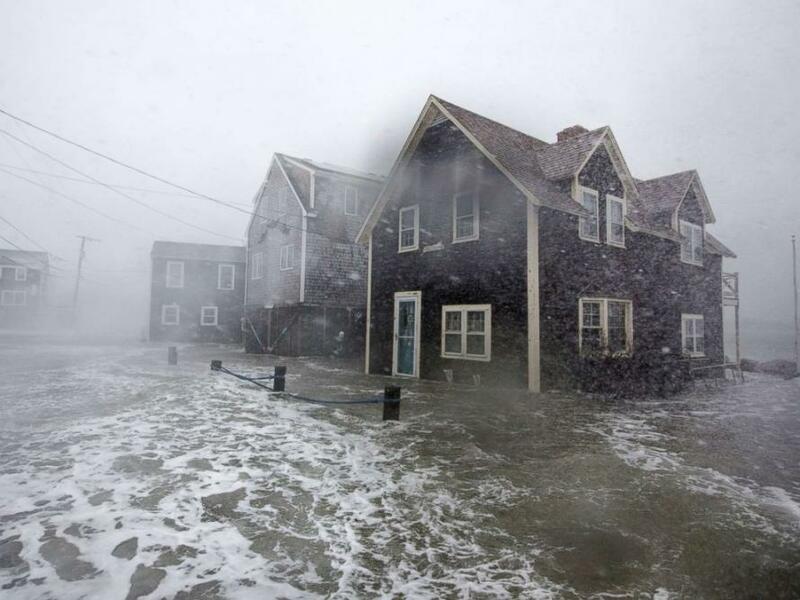 In Boston and nearby coastal communities, storm surges and high tides sent seawater in the streets, the second floods there this year. 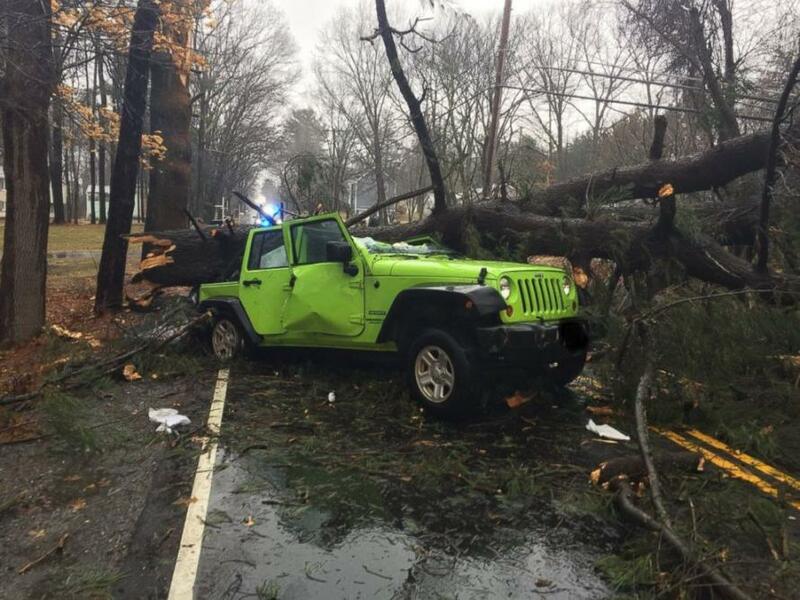 Wind gusts of more than 90 miles per hour downed trees and power lines a day earlier. The highest wind gust was 93 mph in Barnstable, Massachuetts, while an 83 mph gust was measured in both East Falmouth, Massachusetts, and Little Compton, Rhode Island. Hurricane-force wind gusts will continue through coastal Massachusetts and Rhode Island Friday night. Virginia Governor Ralph Northam and Maryland Governor Larry Hogan declared a states of emergency. “Please use common sense, heed all warnings, and stay inside and off the roads if possible,” Hogan said in a statement. Heavy snow fell across much of the interior northeast Friday afternoon, including in Syracuse and Albany, New York; New Jersey and eastern Pennsylvania. Sussex County, New Jersey, has already seen 10 inches of snow by the afternoon. According to AccuWeather, the storm dumped as much as 18 inches (46 cm) of snow on parts of New York state and Pennsylvania. In Pennsylvania, a school bus was toppled over by high winds. No students were on board, and the driver's injuries were minor. One flight landing at Washington’s Dulles International Airport came in through turbulence so rough that most passengers became sick and the pilots were on the verge of becoming ill, the Federal Aviation Administration said. And while the snow and rain will taper off as skies clear, but winds gusts of up to 50 miles per hour (80 kph) will persist through the day across the region, the National Weather Service said.